It's time for Spoonflower's annual tea towel calendar contest again! It's hard to believe how quickly this time of year comes around and this is the 4th year I have taken part in the contest! 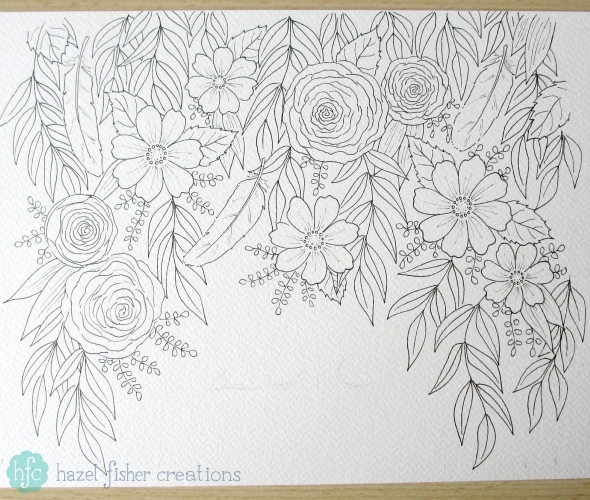 I sketched a few ideas out for the calendar and chose to work up this feathers and flowers design for my entry. 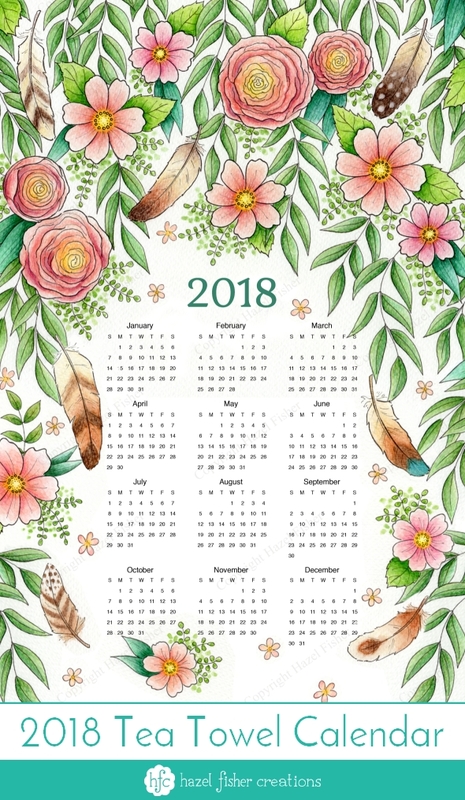 My feathers and arrows fabric design has been popular on Spoonflower, so I thought I would like to add some new feathers designs - starting with this calendar! I drew the design in pen on watercolour paper then coloured it with layers of watercolour pencils, watercolour paints and coloured pencils. Next I scanned the paintings, arranged all the pieces digitally to create the finished calendar. I'm happy with how this design turned out, especially as half way through I didn't like how it was looking. The most frustrating part of drawing or designing is when the initial enthusiasm wears off and it doesn't look how you want it to, but can't quite put your finger on what to do to fix it. The texture of the watercolour paper was showing through too much when I first scanned the artwork on this, but I went back to the original, added more more watercolour paint and it looked much better when I scanned it again. 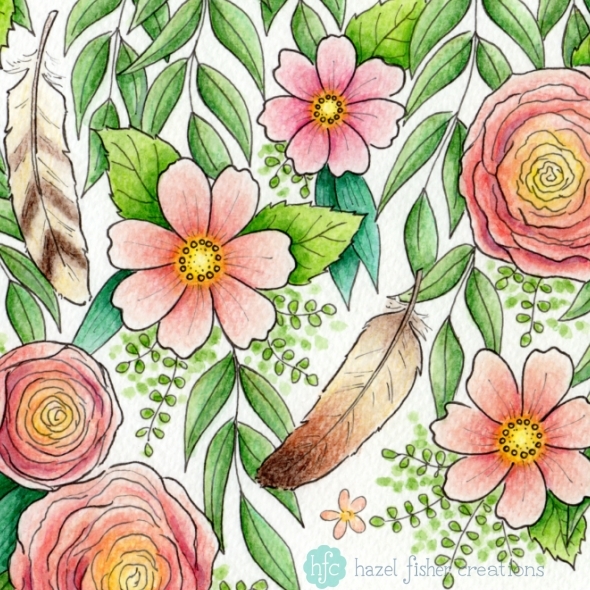 Thank you if you voted for my design - it came 33rd (with 201 votes) out of 289 entries! You can see all the winners on Spoonflower here. This design is now available to buy from Spoonflower - you can purchase it from my shop here!